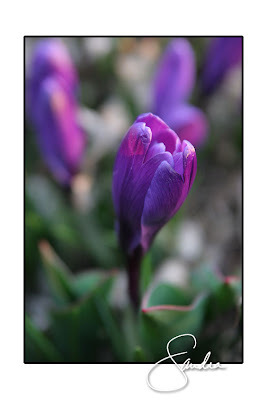 studio smc photography | Sandra Costello: Spring has arrived! 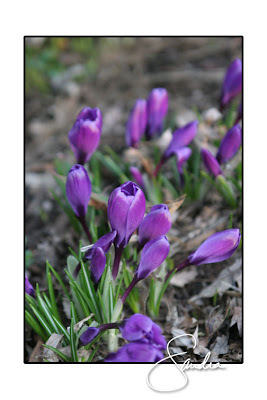 Saturday afternoon I discovered we had crocuses blooming in our front yard. They are so vibrant and hopeful. When I raked away last fall's leaves I was careful not to damage these little beauties. I can't wait for things to green up and for the drab colors to fade away.